Deep learning based annotation and segmentation can drastically speed up model development and medical image analysis. However, developing high performance and accurate deep neural networks from scratch is challenging and time-consuming. The sheer cost and quality of data sets needed are often two of the biggest barriers developers face. To help accelerate innovations in the medical imaging sector, NVIDIA is announcing the Transfer Learning Toolkit and AI Assisted Annotation SDK for Medical Imaging. The NVIDIA Transfer Learning Toolkit empowers deep learning application developers in medical imaging to take advantage of NVIDIA’s pre-trained models with an easy to use training workflow enabling them to fine-tune and retrain models with their own datasets. Transfer Learning Toolkit is a python package and each model is optimized and trained on NVIDIA Pascal, Volta, and Turing GPUs to achieve the highest accuracy levels. At MICCAI 2018, NVIDIA won the first prize for BrATS challenge for 3D MRI brain tumor segmentation using autoencoder regularization. 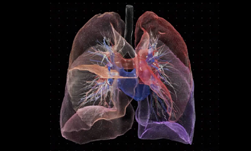 As part of the Transfer Learning Toolkit for medical imaging software, NVIDIA is making this pre-trained model available in the first public release. 3-D brain tumor segmentation on multimodal MR data and 3-D pancreas and tumor segmentation on portal venous phase CT data are some of the models trained on public datasets that are easily accessible from within the Toolkit. Using the NVIDIA Transfer Learning Toolkit, developers can accelerate development and reduce the computation resources needed to build their applications. The toolkit will also enable researchers to extend the pre-trained models to their own work. With easy to use APIs developers can quickly adapt and leverage the technology. Models using the Transfer Learning Toolkit workflow can also be easily deployed to the Clara platform for Inference. Transfer Learning Toolkit will be available for NVIDIA Tesla and DGX products. Radiologists end up spending several hours examining a single 3D volume from a patient when it comes to treatment and diagnosis. It is a tedious process where a radiologist has to work through CT or MRI scanned images slice by slice, manually draw, annotate and correct organs or abnormalities they are interested in. This is then repeated for all the image slices of a particular organ or abnormality in the 3D volume. NVIDIA’s AI Assisted Annotation SDK speeds up this process dramatically by a factor of 10x and assists in discovering abnormalities much faster. This is achieved by enabling application developers and data scientists to integrate the AI Assisted Annotation SDK into their existing applications to bring AI assisted workflows for radiography. AI Assisted Annotation SDK utilizes NVIDIA’s Transfer Learning Toolkit to continuously learn by itself, so every new annotated image can be used as training data to further improve accuracy of the pre-trained deep learning models that it ships with. If you are interested in learning more about NVIDIA’s AI Assisted Annotation SDK and integrating it into your own application to enable AI assisted workflows in medical imaging, please sign up here.